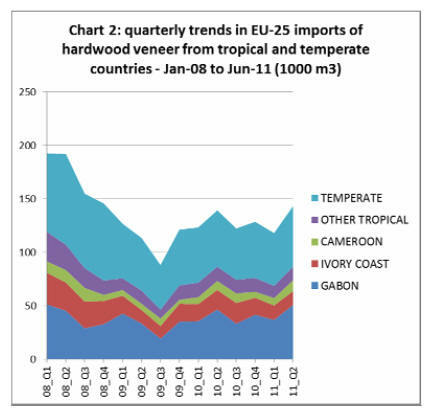 increase compared to the same period in 2010.
commodity are only 50% of levels recorded in early 2008.
the European holiday season in September. 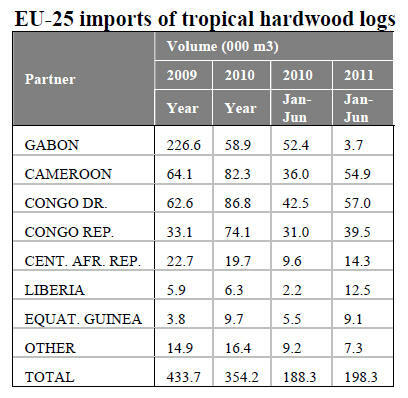 by an increase in imports of tropical hardwood veneer. 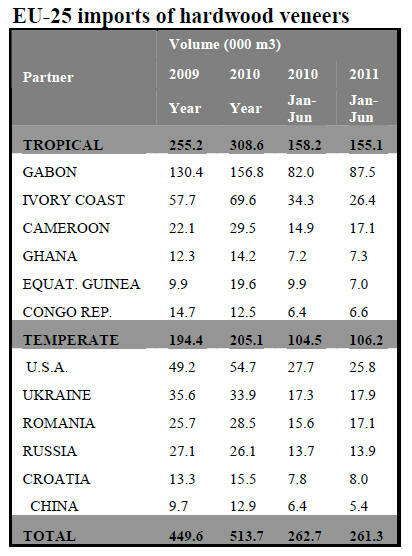 to June 2011 period after a very slow start to the year. this becoming a sustained trend. sliced veneers has been hit by a combination of factors. manufacturing, up from 56% last year. contributing a further 23%, 9%, and 8% respectively. the year following the Japanese Tsunami have now eased. continuing weak demand in Europe and North America. have fallen to around 5 weeks. 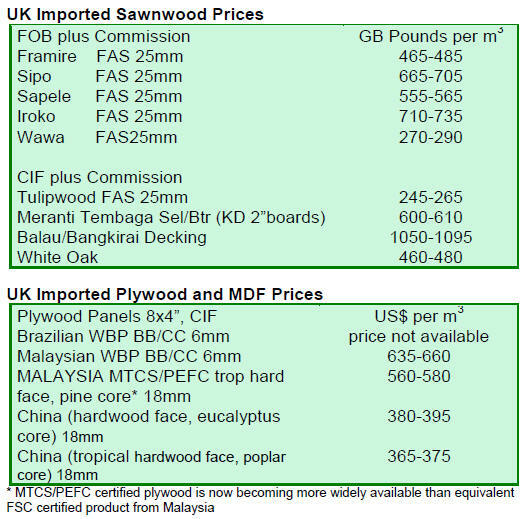 Demand for Chinese plywood in Europe remains slow. slow in the autumn months. 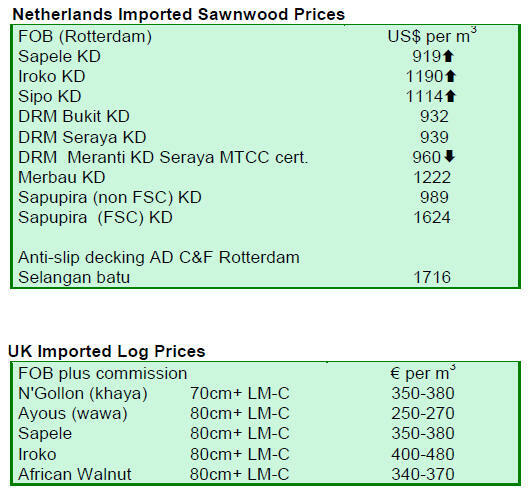 offers on their existing stocks. 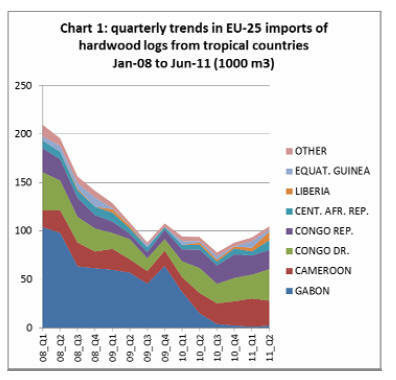 offset for European buyers by falling freight rates.